Fonts are essential for the feel of the website. Font developers, like you, need to be smart when creating and selling fonts. In media, where typefaces are very much used, fonts have changed in the same rate as any other web page elements, adjusting to the need and time of its use. As there are people who are able to read, fonts will continue to evolve in its styles, uses and forms. With that being said, the growing importance of font designers is also heightened. Because of the need for constant development, typefaces should adapt to the changes that the users demand, ergo, the talent and skill to create aesthetically beautiful and purposely readable fonts. Actually, creating your own font is pretty rad. Imagine seeing your own handwriting or something you developed being used in designs and even in websites. At the most, if you have been trained well and created awesome designs, you could even sell your fonts! So it’s really a pretty good thing to learn. Shall I sell it or give it away for free? With these points, let’s see if you can stand up to the challenge of being great font-designers and developers. What do I need to know before starting to design my own font? 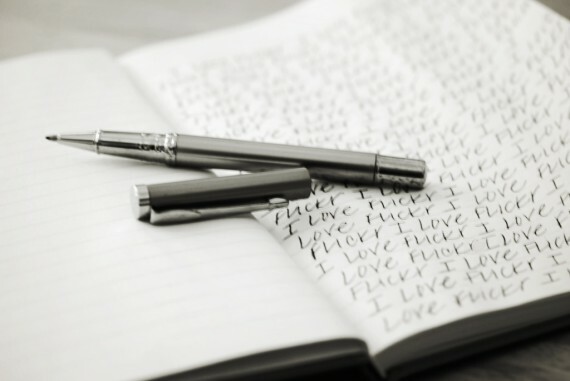 You’re probably wondering why I wrote that. Well, those words should be the guiding principle in designing your own fonts. Knowing your ‘enemy’ and ‘yourself’ is a sure-shot weapon on making magnificent and potentially sellable typefaces. Once you mastered these principles, you can truly design fonts as sharp as the samurais. The first thing to keep in mind is your ‘enemy’. Now, who is your enemy? Let’s just say your enemy is your target. What is your purpose for designing this font? Knowing where to use it and to whom you shall use it for will be the key in making fonts that impact (pun intended) in the world of web design. Am I targeting kids for this design? If yes, then, design a comical font. Am I targeting professionals here? If yes, then, you might want to think of a typeface that would suit them. Do I want to see my handwriting on the computer screen? If yes, then you might want to think of a font that will suit this answer. You should be careful in targeting your audience because you might fire a stray bullet and hit the ones you’re not targeting. So keep in mind that fonts have their specific uses for specific purposes. Next, consider if what type of font you will use. There are a few types of fonts out there. 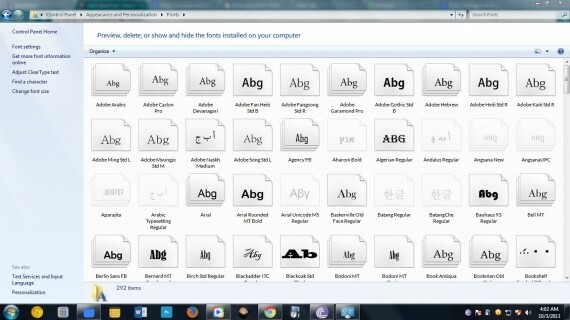 What you need to do is to know where to place your font in these categories. Doing this will easily make your font sellable and searchable in case you wanted to make money out of them. Read Working with Types: Typography Design Tutorial for Beginners for the different types of fonts. After knowing what font you will use, you will be challenged to know what fonts to suit you. As a designer, you probably have your own niche. Are you comfortable with script fonts? Do you prefer comical fonts rather than formal ones? What will make your design workflow easier, faster and better? You need to address those cases and try to look at your own designs. Assess your strengths and play with them. If you are good at formal typefaces, then go for it. Learn where are you going to put yourself and also where to have fun doing it. Remember, if you love what you do, your target will love what you make out of your designs. So choose. Shall I sell my fonts or give them away for free? The answer is yes. Though the second question will arise, will they buy it? Now that’s another good question. Foundry Method – Foundries are font manufacturers. They distribute typefaces to a lot of outlets like web shops and resellers so it’s a pretty big opportunity to sell your font through them. It is an exclusive deal as the foundry will maintain the right to sell the font you designed as dictated by the contract. In return, you will be given royalty. It requires minimal to zero business knowledge. The foundry will take everything in. No headaches. They can improve your design and make it more sellable. Foundries protect you from piracy and misuse. You can focus on designing more fonts rather than thinking about how to sell them. Little to no control at all with the method of selling the fonts. You will receive only a portion of the earnings. The niche of the whole foundry. Their assistance to the production of your font. Target market of the foundry. Length and terms of the contract. Here are some foundries you’ll want to take a look at. 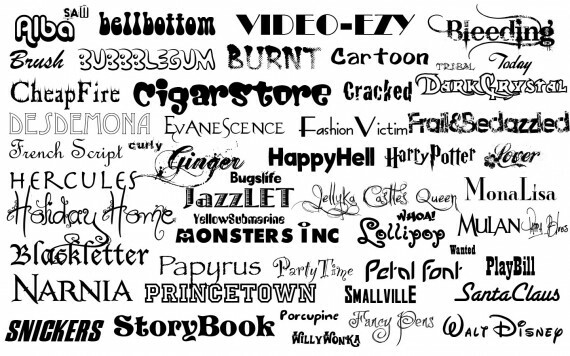 Reseller Method – Resellers offer fonts from a lot of different foundries. What they do is they sign contracts with font publishers or foundries and sell the fonts in the latter’s library. They receive a particular percentage from selling the fonts. Each reseller can have different and various customers. It’s up to them how to sell the fonts. You could be able to reach more diverse markets, hence, more customers. You could maintain the brand pricing and rights with different resellers. You need to know a lot about business. You have to share your earnings with the reseller. What fonts do they actually sell? Forever Alone Method – if you think you can handle it, you could go by yourself. Though it may be pretty scary to sell fonts on your own, it can give you a very good value boost. But it could be pretty difficult as you have to have great designs that stand out to do this. You have full control over your design and selling strategy. You could take home 100% of the profit. You can establish a name for yourself. It requires less time on designing, more on selling. It is pretty difficult to go in the system. As you will be delving into the world of font creation, you will appreciate the following tools, which will make your life easier and your designing experience, more fun. 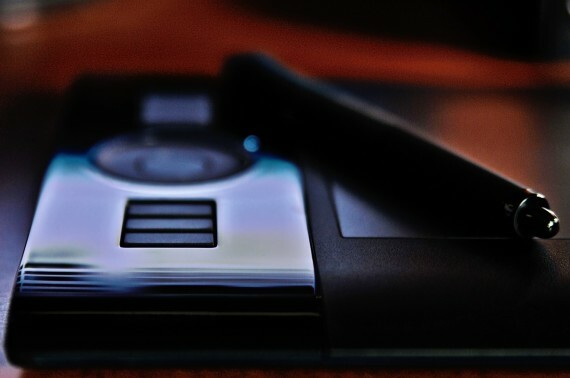 Pen Tablet Input Tool – this is for serious designers. This will cost you money but will spare you from scanning the fonts. So it’s also a good deal. 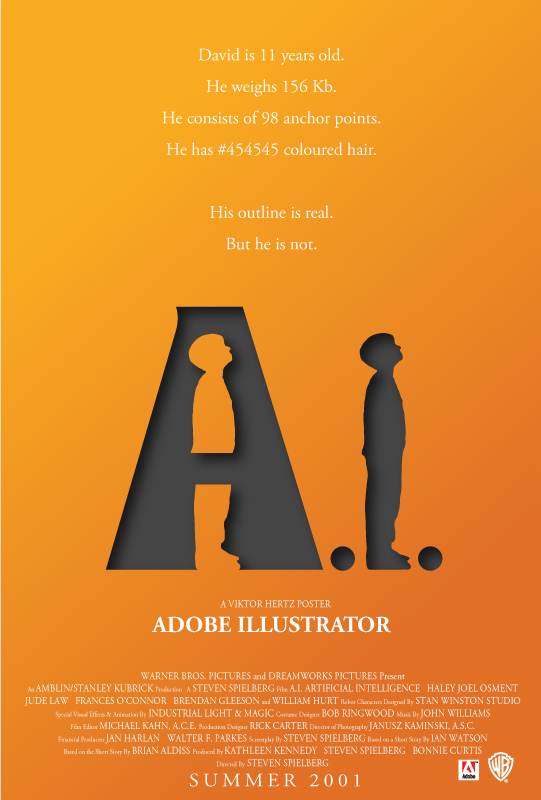 Adobe Illustrator –Adobe Iillustrator is a very versatile tool to vectorize your fonts. It’s pretty complicated but learnable. 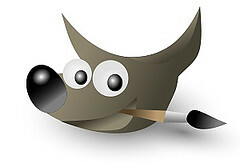 GIMP – GIMP is very easy to use, though, lacking the features that Illustrator possesses. Fontographer ($350) – easy to use yet powerful font editor. 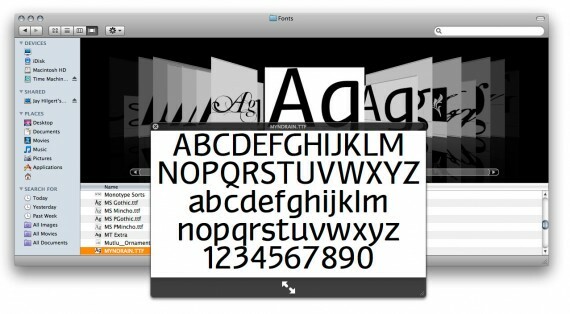 You can design typefaces, customize existing fonts and it displays them in high resolution! FontLab Studio ($650) – is a professional font editor used by major computer companies and most font foundries. It is very comprehensive and yet flexible software that targets professionals and amateurs alike. 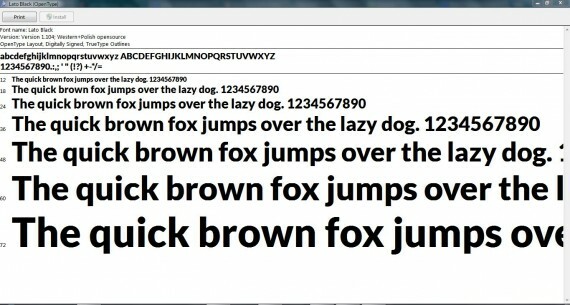 Fonstruct(free) – is a fully operational web-ran software that allows you to create your own fonts. You can register as a user to be able to render your design. The creation and selling of fonts just proves that the typeface is important in any aspect of design. Creating new typefaces signifies that this notion is still alive and moving. With newer designs emerging almost every day, it’s pretty good to see that it adds a sense of uniqueness in the design, making it more viable for income. Truly, when you learn how to make fonts, you’ll be in places you’ve never been. This entry was posted in Applications, CSS, Resources, Web Design News and tagged Application, fonts, Resources, Tips, Web Design news. Bookmark the permalink.